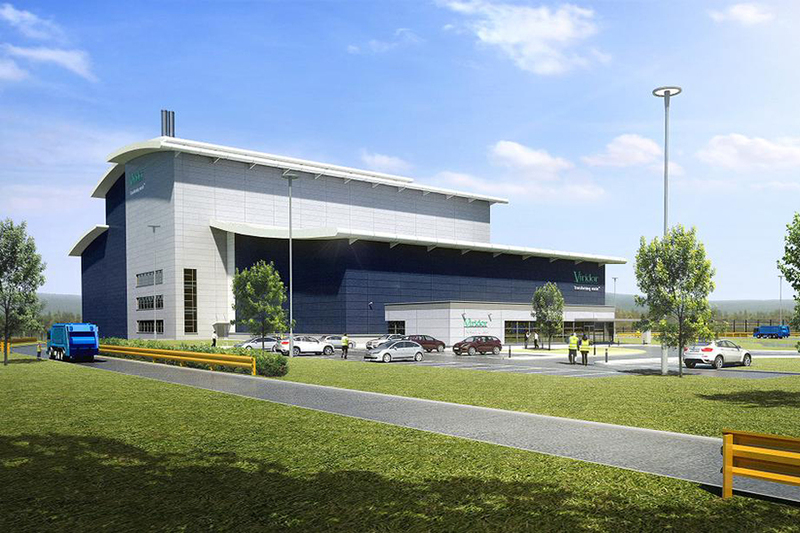 Fairhurst have been appointed by Interserve Construction Limited to provide all Civil and Structural Engineering design associated with the construction of a new, state of the art Energy from Waste Facility in Dunbar, East Lothian. The development comprises a main building, which includes a covered reception hall/waste tipping area, a 10m deep waste fuel bunker, a major boiler plant and 6 storeys of offices in addition to below ground foul and surface water drainage infrastructure and external hard standing areas. Fairhurst’s Geo-Environmental involvement in the project included a review a site investigation undertaken by others and the provision of technical advice regarding substructure support systems for the buildings. Structural Engineering input includes the design of all buildings (including crane supports and turbine platforms), the design of all foundations and the provision of SER. With regards to Civil Engineering, Fairhurst have undertaken the design of all roads, hardstandings, drainage and SUDS. This is in addition to the preparation of cut and fill drawings and earthworks specifications. Fairhurst have modelled the entire structure and external areas using Revit and Civils 3D in order to allow for clash detection with all other designers. These models are able to be used by the suppliers and fabricators.